Whenever people think about their wedding day, a million and one details come to mind. Planning a wedding can become overwhelming, but it is important to always take a deep breath and remember one very important thing. Despite the details, a couple’s wedding day is a day for them and friends to get together and celebrate their new lives together. However, this does not mean that details are not important. 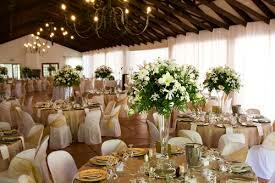 There are three things that are extremely important to take care of when organizing a wedding. 1. Entertainment for the reception is an essential part of planning a wedding. The ceremony is important, but it isn’t the only thing that is special and needs planning. People always remember the reception as the first party celebrating a couple’s marriage, and the entertainment is important. A reception often has people of all ages, and it is important that the entertainment is friendly towards everyone in attendance. One way to make sure entertainment is appropriate is by giving the DJ a play list or by making sure that the activities planned can be done by all ages. 2. Another important aspect of a reception is what is going to be served at the reception. A lot of people tend to choose things like steak, lobster, or some other expensive type of dish for their wedding reception. This type of food is not bad, but it can be rather expensive, especially if the guest list is large. It could be better to purchase different types of things to serve that cost less but provide more quantity. After all, no one enjoys a party as much after the food and beverage disappears. 3. Another thing that is important to do when planning a wedding is to come up with some sort of appreciation gift for the guests. There are a lot of different ways for a couple to show their appreciation for the people that come to join them on their special day. Although a lot of people send out thank you cards after the wedding, adding a small appreciation gift bag to be given out at the wedding reception is a great way to show the people who attend the wedding immediate appreciation.